I wish you a Healthy and Successful New Year 2019. The New Year is a time to welcome change, create meaningful goals, and harness our energies to improve ourselves and our lives. Many of us use resolutions as a way to jump start the process of creating change, but resolutions are notoriously difficult to stick to. In this alert, I will tell you why resolutions often fail and what you can do to improve your success rate. We have all been there: we wake up on New Year’s Day full of hope, excited by new goals and work toward them. Initially, we approach resolutions with gusto, getting up for early workouts, eating healthier, meditating every evening, or practicing mindfulness throughout our day. For a few weeks, it feels great. But after a month or two, we find ourselves losing energy. We slip up and sleep in. We become frustrated that we are not making progress and give up. The sad reality is that many New Year’s resolutions fail within six weeks of starting. While the numbers are not promising, if you can understand why your resolutions fail, you can actively learn healthy ways to be more successful. One of the most challenging parts of any resolution is that it requires us to get out of our old habits, which are incredibly comfortable to us. At first, it is easy to eat healthier or get to the gym, but as soon as we skip a workout or overindulge in dessert, we feel that we have failed. This makes us lose focus and energy. We become more and more critical of ourselves and less and less motivated. Eventually, we give up on the resolution altogether. Another problem that arises with resolutions is that new projects or ways of being are exciting at first, but the excitement often wears off. We wonder whether we truly needed to change in the first place, and our new behaviors start to slip. On a deeper level, resolutions often do not work out because we are afraid of failure. Rather than doing a challenging task that will bolster our self-esteem and help us reach our goals, we substitute easier, less-rewarding tasks that are less motivating. 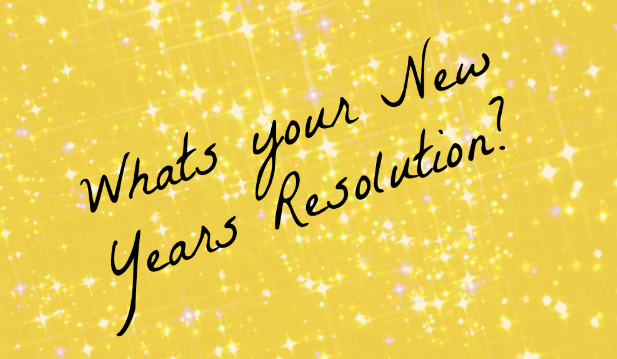 At the other end of the spectrum, many people make resolutions that are difficult to achieve. They set unrealistic expectations that require extensive willpower and self-control, but this is hard to sustain over long periods, so we give up. Another issue that gets in the way is over- or under-planning. Some of us spend a lot of time perfecting our goals and projects rather than actively working on them. Others do not plan enough, their resolutions are not clear, or they do not make a plan for how they will achieve their goals. For example, if you make a resolution to simply eat healthier, your goal is too vague. If you instead resolve to eat five servings of vegetables per day and use an app to track your progress, you not only have a clear goal, but also a specific direction. Now that you know what can get in the way, here are some solutions you can use to help you overcome these issues. First, start with small goals and build up to set more challenging goals over time. 35% of people who succeed at their resolutions did so by creating achievable goals for themselves. Be realistic: if you know you will not get up seven days a week for a 6 am workout, start with two days. If you want to lose 20 pounds, set a goal of losing one pound a week and use a calorie-counting app or work with a nutritionist to make a successful plan. If you have trouble finding enough time for your resolution (which is true for 40% of people), prioritize your commitments and ask for help. Eliminate anything in your life that you do not absolutely need to dedicate time to. i,e For moms, find other parents to carpool so as to free up an hour for a morning workout. Or ask your partner to cook dinner a few nights a week so you can attend an art class. And speaking of support, people with a support system tend to do a better job of achieving their resolutions. Commit to exercising with a friend, or enlist your spouse to eat healthier or start a mindfulness practice with you. If your goal requires you to “go it alone,” ask the people you love to support you and cheer you on. Finally, if you fail to reach a specific goal, do not beat yourself up. People who have compassion toward themselves and less guilt surrounding their failures are more likely to stay committed to their resolutions and reap the rewards.